Whoever said “Science is Boring” had to be kidding! 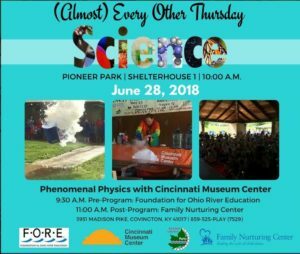 (Almost) Every Other Thursday Science programs are free to attend and are held, rain or shine. Snack lunches will be available for $1 a person. Family Nurturing Center’s Kids on the Block puppet troupe will perform as part of the camp.